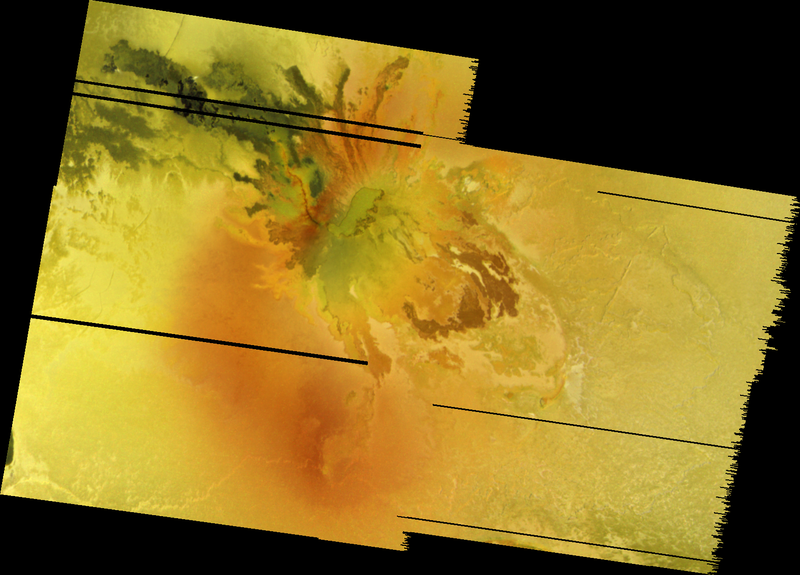 I ended up reprocessing a couple of mosaics from I27, the 27ISSAPPNG01 observation and the 27ISPROMTH02 observation. 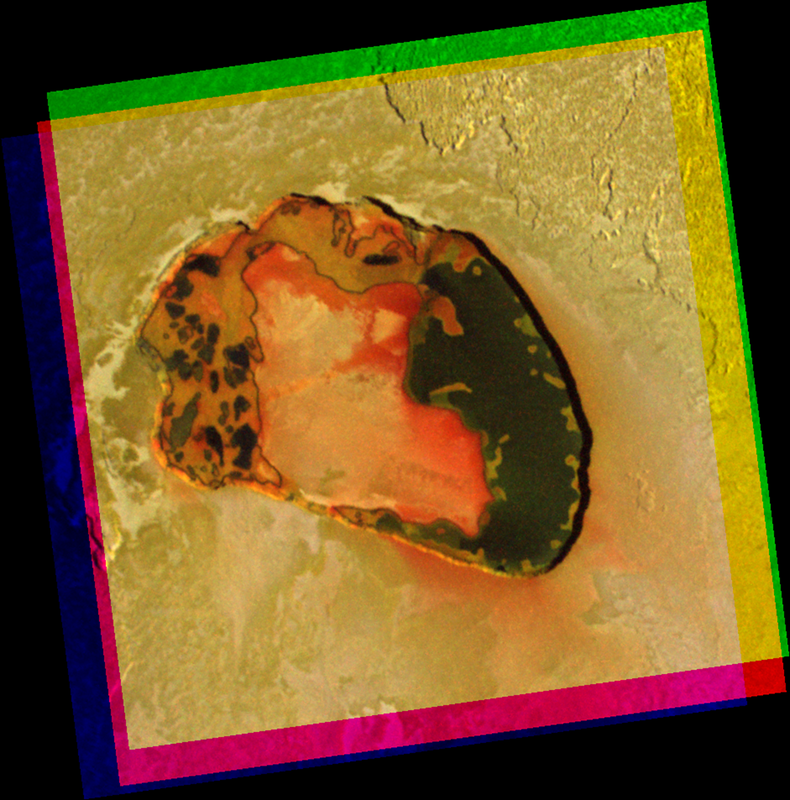 The later is one of my probably the least presented of the high-resolution Io color observations from Galileo. Most people know of the Tupan, Culann, or Tvashtar color sequences, but not this one as much. 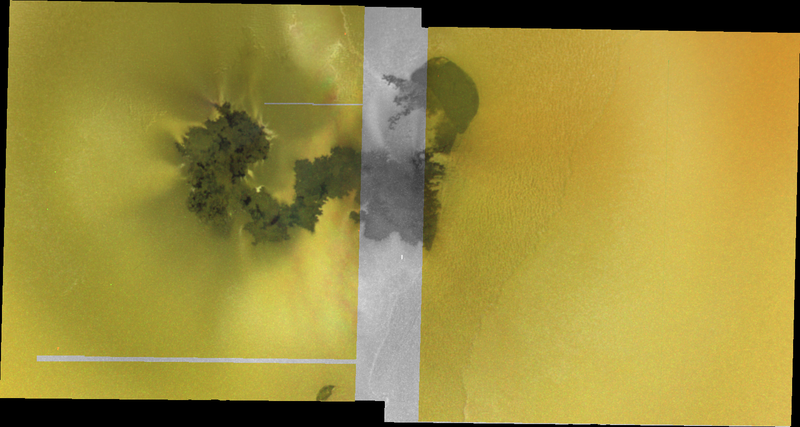 Not sure why, sure it has that strip where there is only green filter data, but it still looks very nice, IMHO. 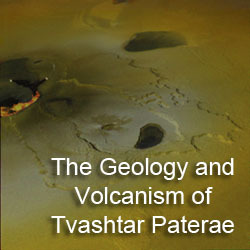 27ISPROMTH02 shows the Prometheus volcano: its lava flows, patera, and plume deposits. The color here is a little stretched compared to natural color since it uses the near-infrared IR-7560 filter instead of red, along with the GREEN and VIOLET filters. 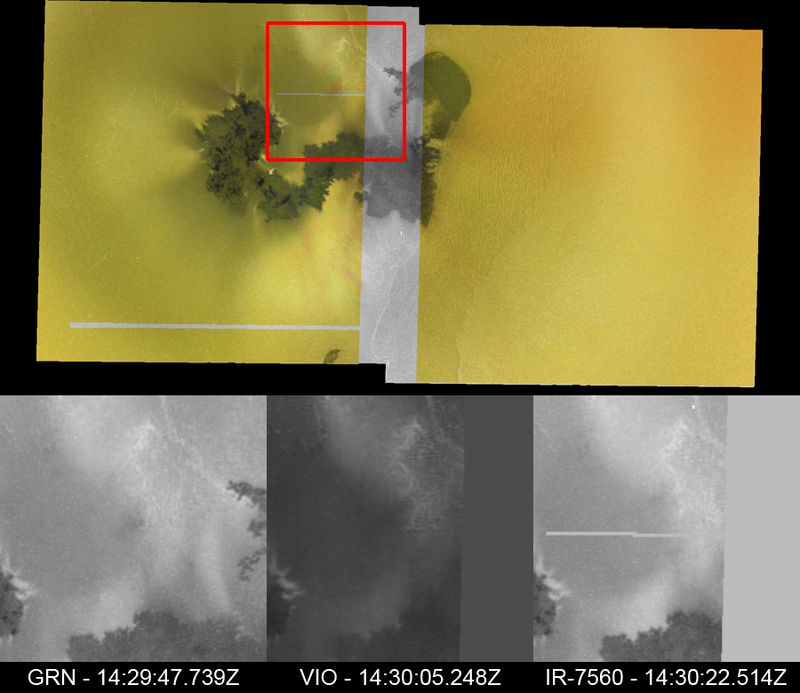 Data from this observation was used to show how much new lava flowed out onto the surface between October 1999 and February 2000, indicating that the flow rate was 10 times greater than at Kilauea (a nice new flow from there just reached the Pacific, most news sites have cool video). 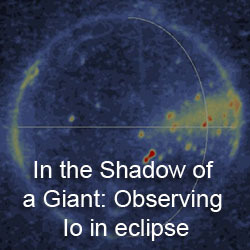 The observation also contains a rather interesting feature. 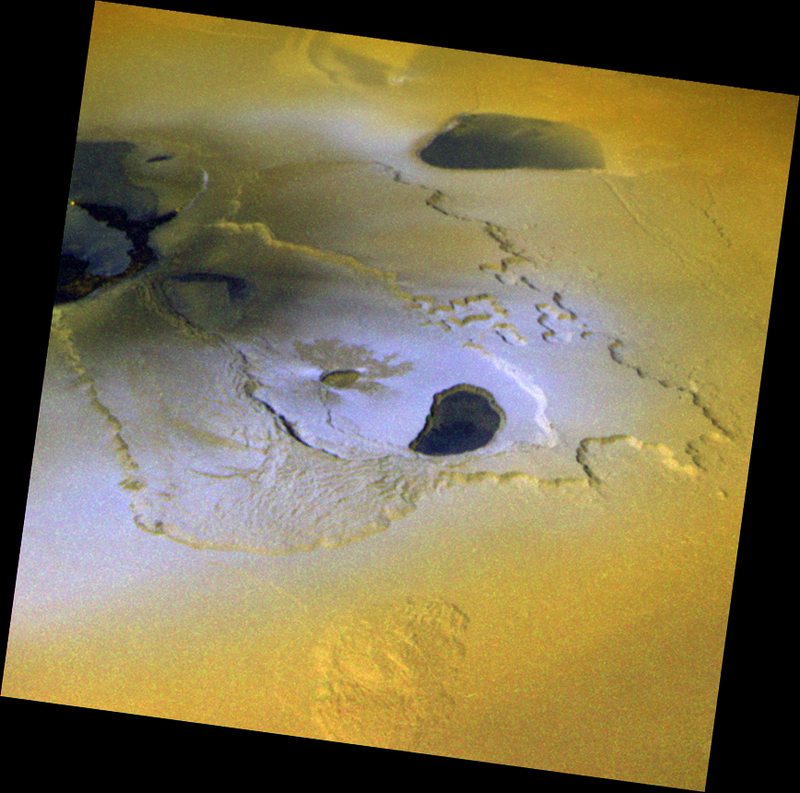 There is a diffuse dark spot that moves from southeast to northwest between filters between the main patera and the western end of the Prometheus flow field. 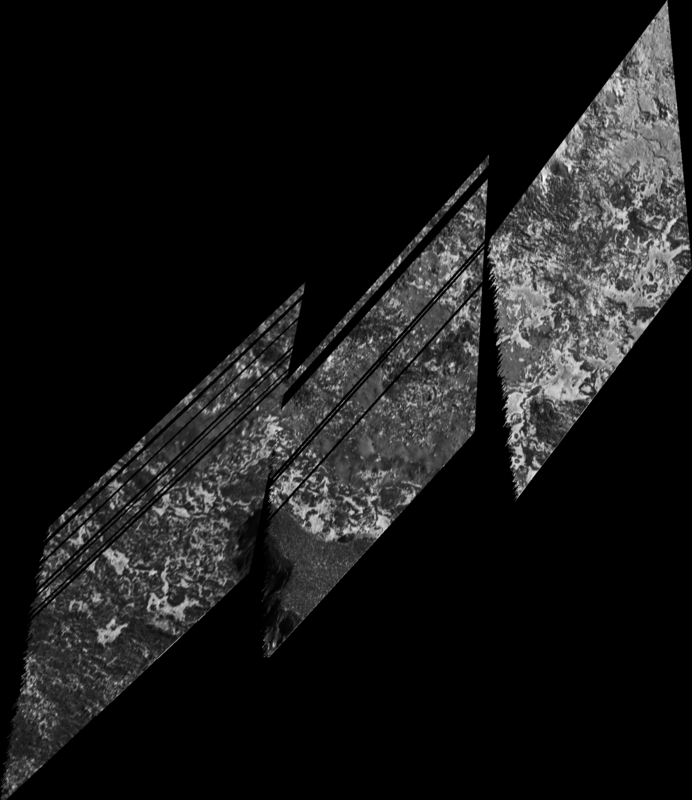 To illustrate this dark spot, I've created a little image product showing all three filter images separately and two animated gifs: one with an arrow pointing out the feature and the other without said arrow. The dark spot is near the center of each cutout. Similar moving dark features maybe seen south of the flow field. 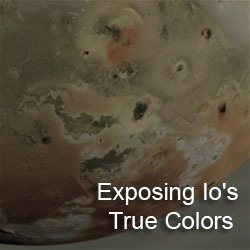 I posted on the Unmannedspaceflight.com forum about this feature last year when I first uploaded this observation on my Galileo Images of Io website. I post this again here to see what other people's thoughts are. Taking this with the possible shifting features south of the flow field, my guess is that this features is probably some kind of clump (or shadow of a clump) in Prometheus' plume. Thoughts?